We went to a wedding the last day of November. While we were waiting for the ceremony to begin we were looking around and found the paintings at the front of the church interesting. Below are the questions that either the boys asked us or we asked each other. 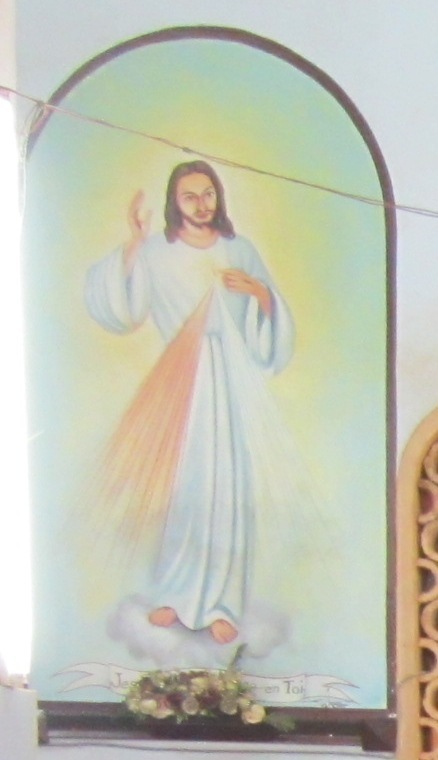 (1) Why is Jesus barefoot? According to the children’s song, “I Got Shoes” everyone in Heaven has shoes. 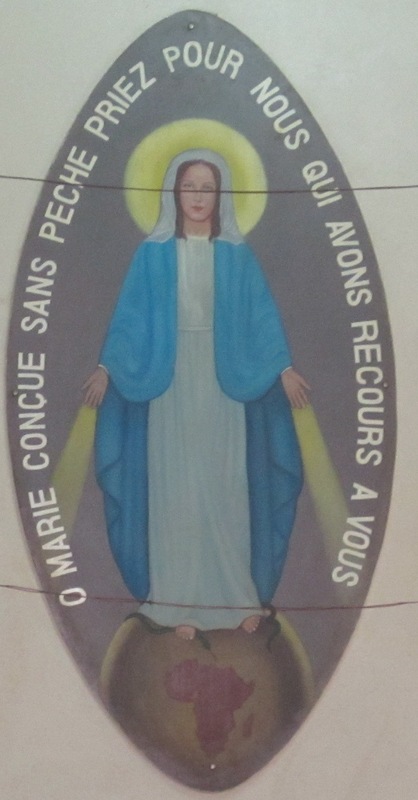 (2) Why does the globe that Mary is standing on only have one continent, Africa? (4) Why is Mary standing on a snake? This entry was posted in Cameroon and tagged Cameroon, Questions, Shoes, Wedding. Bookmark the permalink. I would be most intereted in the answers you gave the boys?